There have been so many calls on governments to respond to different issues via social media across Africa that the governing bodies can no longer trivialise the power of these platforms. Couple this with data analysis and aggregation, and social media can create an excellent social indicator on the real issue affecting citizens. One such project is #WhatIsARoad in Kenya. This started in June 2016 to draw to attention to road infrastructure that needs repair. In the project, citizens are asked to take pictures of potholes and broken down road infrastructure and tweet them with the hashtag. Users are encouraged to take a photo with their geo-location turned on, to get verified data on the location. The data is then compiled into a visualised report, through Ushahidi, to map out the various roads that need immediate attention. The project was initiated by a group of volunteers who have different skills within data collection and analysis. In a blog post, the team explained their drive to use technology in providing concrete data. “There are so many things to complain about in Nairobi. Potholes are very visible. We are sure even the Nairobi County government can see them. Why not provide them with concrete data about the location of potholes and push them to fix the potholes? This is also a good opportunity to turn online conversations into sustained actions,” the post said. The project has seen successes as the Nairobi county government has responded to some of the complaints. Over 500 Kenyans have used the hashtag to tweet bad roads and they have seen over 22 million impressions. The county government was able to fix over 10 roads reported on the platform. 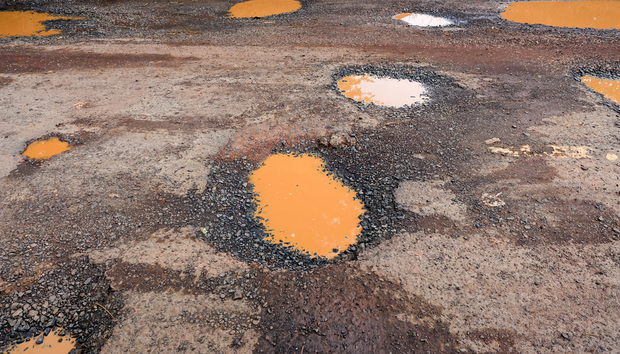 Muthuri Kinyamu, a volunteer at the project, says that the roads were fixed between two to three days, giving much weight on data reporting. Chris Orwa, another volunteer with the project and a data scientist, says that there is lack of data scientists in the country. He adds that there needs to be a marriage of mathematics, statistics, computer science and DevOps to have competent data analysts. And this combination is not being offered in universities and colleges at the moment in Kenya. This puts a burden on the existing education system to produce analysts who can interpret the growing volumes of data churned out daily in public and private institutions. Nanjira Sambuli, a researcher, consultant and a volunteer in the project, says that African governments need to do more in using their own data in questioning levels of growth in different sectors. Even though technology makes it easy to evaluate and take feedback, it cannot solve all the problems in infrastructure monitoring and reporting alone. “To implement technology in development, governments and citizens must be very clear that no technology will improve governance on its own; people will use and manage these technologies. Their intrinsic motivation is a key factor in determining whether these are a success or failure,” Sambuli says. The project hopes to expand from the roads to other aspects of the transport network. For example, Sambuli says the public walkways for pedestrians are slowly shrinking or not available at all on some roads. “This project is about citizens taking the tools in their hands to hold government[s] to account. We hope that it will generate enough momentum with both citizens and government (national and county) to improve how roads are designed and maintained,” she explains. Using available and relevant tools can help governments and the private sector to quickly launch such initiatives. Physical reporting can be relegated to infrastructure that has raised concerns from the public. In turn this helps organisations reduce evaluation time and respond to emergencies quickly. The signing of the Access to Information Bill into law and its awaited subsequent implementation in Kenya could provide crucial information that citizens can use to properly comment on development issues. “Data is a key decision making tool, and a marker of progress,” Sambuli says. She points to the Open Data Barometer that shows African countries lagging in data sharing and openness. This offers opportunities to push the use of digital tools in governance. “Public big data” is not only for governments and companies, but also for citizens and civil society,” she concludes. « What will the 'mega security breach' of the future look like?